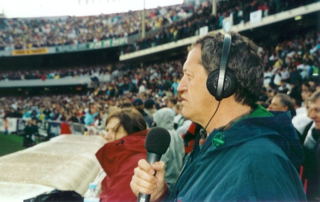 From 2001 till 2009, I was a member of the ABC Radio football commentary team. My role every weekend includes reporting on injuries and interchanges as “boundary rider”, pre-game interviews with a radio mike, and post-game interviews in the rooms. 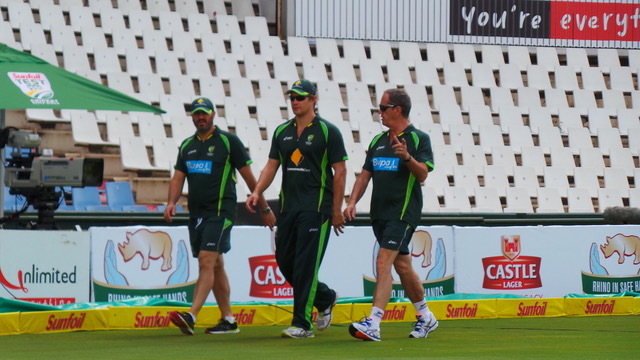 I frequently contribute to the pre-match and post-game panel discussions. I covered the finals series in all seasons. I have also co-hosted the pre-match show on a number of occasions. I have also done interviews and provided background information on most of the 774 daytime shows including Red Symons, Jon Faine, Virginia Trioli, Lyne Haultain, Lindy Burns and the Coodabeens. I have also covered athletics for ABC radio. 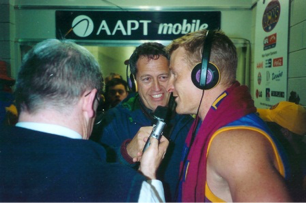 My other major radio involvement has been with SEN, an all sports radio station in Melbourne. As well as giving regular interviews on sports medicine topics on all their shows, I have done two feature series, the first on the history of the Olympic Games leading up to the Athens Olympics in 2004, and the second on the history of the Commonwealth Games leading up to the Melbourne Commonwealth Games in 2006. These involved a one hour weekly show for approximately 20 weeks for each. During the Commonwealth Games I also did two daily segments previewing and reviewing the athletics events. I also regularly co-hosted the Friday night show on Fitness Issues with Craig Harper. During the 2008 Beijing Olympics I co-hosted direct coverage of the Games from the Melbourne studios. 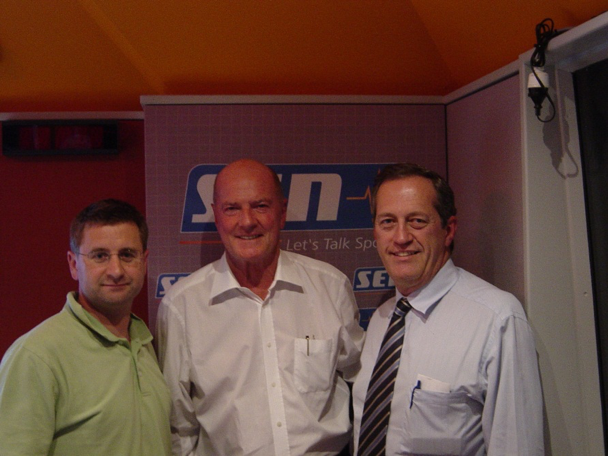 From 2007 to 2010 I hosted a weekly segment on The Good Oil with Mark Doran discussing sports medicine related issues. For a couple of years in the mid-2000s I was the FOX Footy “Medical Expert”. This involved a weekly segment where we looked at a particular injury in depth as part of reporter Tiffany Cherry’s weekly injury update. In 2003-4 I also had a regular segment on White Line Fever with Clinton Grybus on Fox Footy. In these half hour segments we would discuss injury issues and occasionally interview a guest player. I am regularly interviewed on sports medicine issues on ABC, as well as Channels 7, 9 & 10. During my time in the UK, there were two controversial incidents that related to club doctors. One was the Hugo Lloris concussion incident when the Tottenham manager Andreas Vilas-Boas overruled the club doctor and forced the clearly concussed Tottenham goalie to remain on the field. 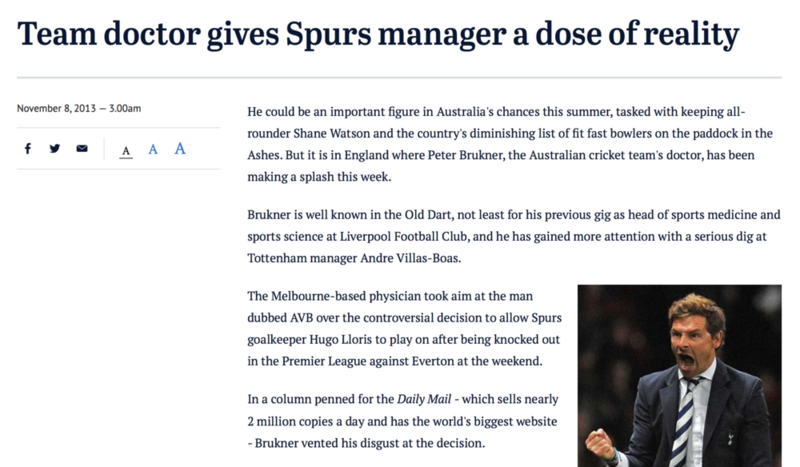 I wrote this article for the Daily Mail: Despite no medical training, AVB still knows better than a medical professional and was also asked to comment on a subsequent article here. 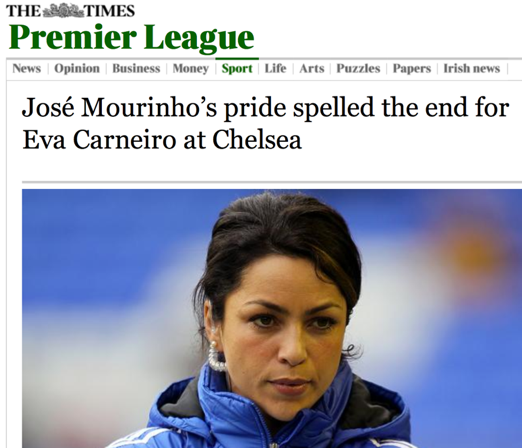 This was later picked up by the Australia media and AVB was eventually sacked. 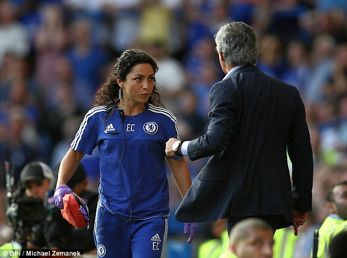 The second incident involved the then Chelsea manager Jose Mourinho and the Chelsea doctor Eva Carneiro. 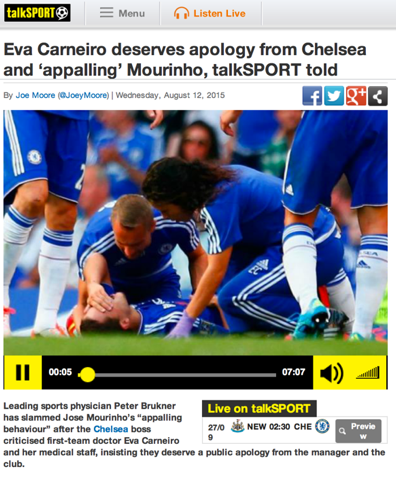 I, again, wrote for the UK’s Daily Mail: Jose Mourinho should apologise to Doctor, Eva Carneiro and commented publicly which was picked up throughout the global media. For a number of years I have written regular feature articles for The Age on a variety of injury and drug related issues. Some of the articles are shown below. In 2008 and 2009 I provided a weekly injury report on Monday mornings. Gift of the jab. Pain killers in footy. The biggest story in AFL football this century has been the Essendon drugs saga where Essendon players were injected with unknown substances. The Age led the way in investigating the saga and I was their sports medicine expert. Essendon players escape sanctions? It’s hard to see why.